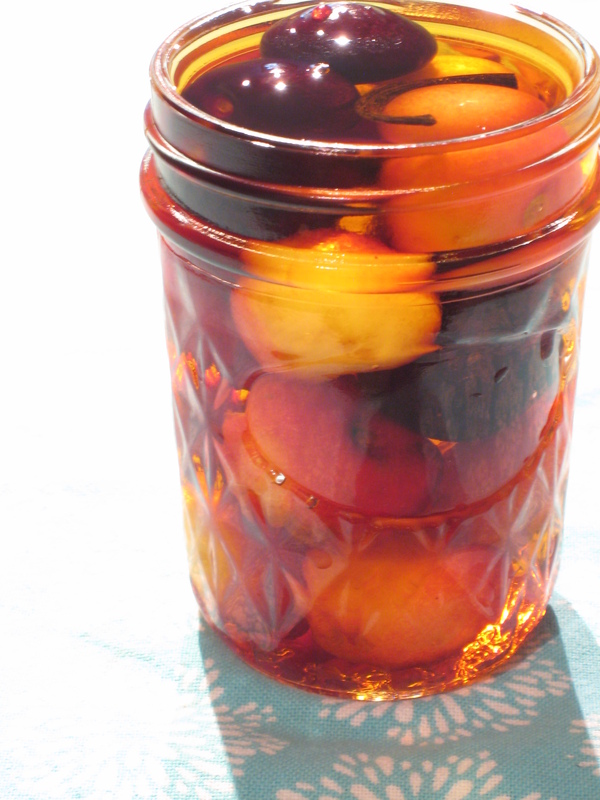 In the middle of winter you are going to pull out a jar of these, and all the warmth of summer will come flooding back, just long enough to warm you up. 1. Wash your jars and lids. 2. 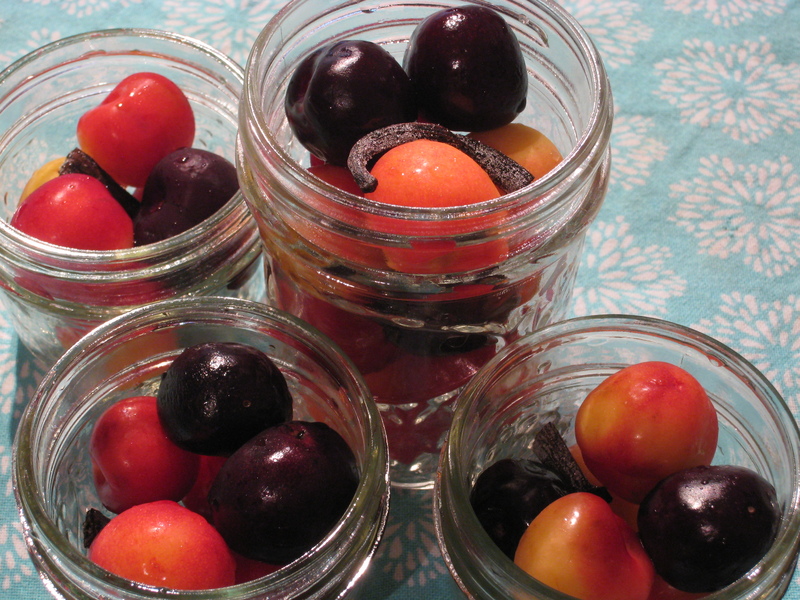 Stuff as many cherries as you can into each jar without squishing them. 3. Cut small pieces of vanilla bean and put one in each jar. 4. Drizzle a little maple syrup in each jar. 5. Top up with brandy. 6. Screw the lids on tight and wait a few months. 7. Enjoy straight out of the jar, or on top of some vanilla pudding or ice cream in the dead of winter.